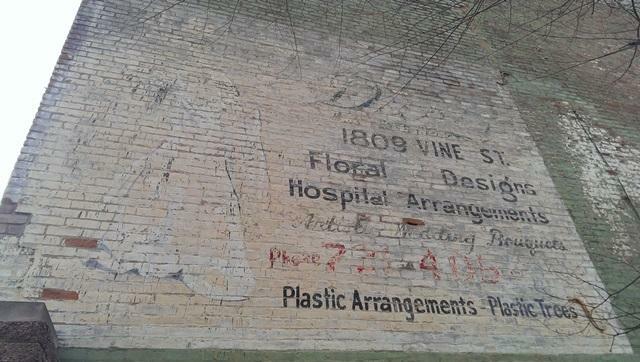 Ghost signs: art or pollution? Some call them eyesores; some consider them art; but most people probably don't notice the old advertising signs fading away on the sides of buildings. 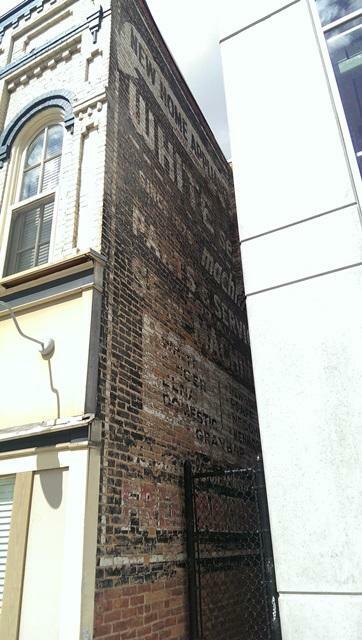 Before we go further, I need to let you know that I like ghost signs. A lot. In fact, I have a photo blog devoted to them. But, I'm not the only fan. 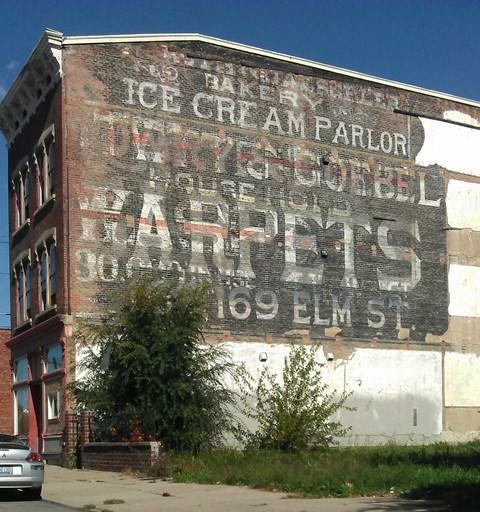 Maya Drozdz of Over-the-Rhine is also a ghost sign enthusiast. “A ghost sign is a former advertisement that doesn’t advertise anything current, or advertises a business that’s no longer in existence. It’s usually faded,” she explains. Drozdz is a graphic designer and says she likes seeing the old lettering and painting. But she also appreciates the historic aspect. 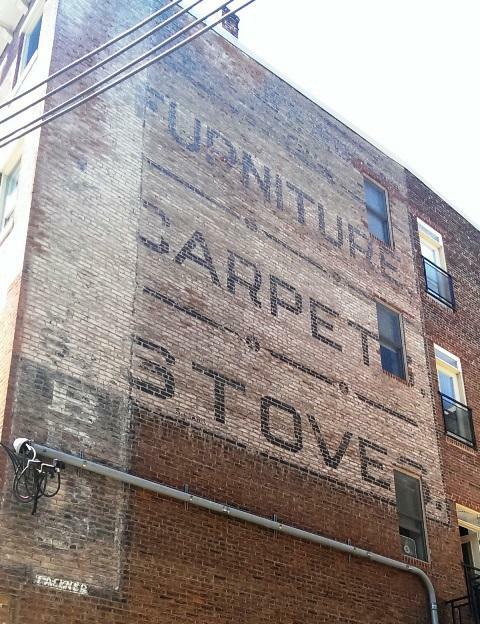 When she moved to Cincinnati in 2008, Drozdz started her own blog about ghost signs and local architecture as an excuse to explore her new neighborhood. 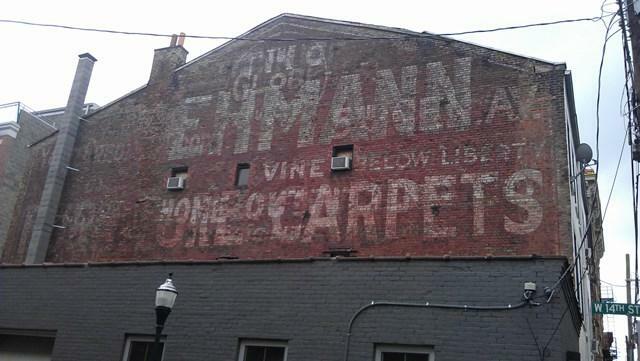 Some ghost signs are lost to history as they fade away. 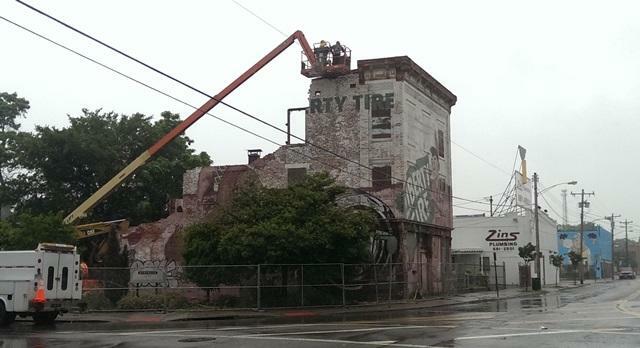 Sometimes the buildings they're on get torn down, like the Liberty Tire building in Northside. Sometimes, the signs get painted over. 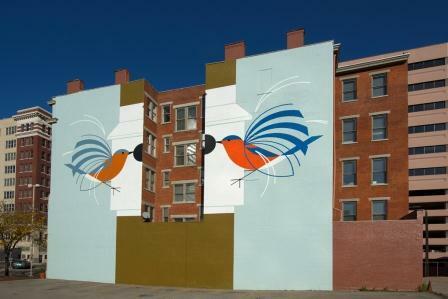 In 2013, Artworks painted a mural on top of an American Luggage Company sign on the Tender Mercies building, on 12th Street, between Vine and Race. Cori Wolff is director of public art for Artworks and she says it doesn't have a policy on ghost signs. “I think we’ve tried to shy away from that," Wolff says. "I think that we, as artists, we really respect what’s been done in the past, and I don’t think that we’re eager to cover anything up." 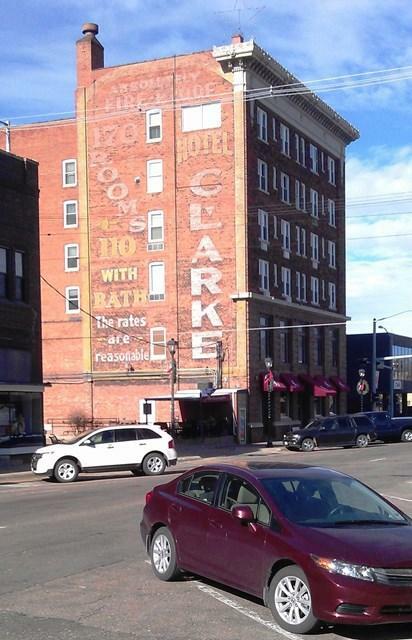 There was discussion about putting a mural over the Dennison Hotel sign at 7th and Main, but Artworks' Christine Carle says they decided against it. Carle says since the mural program started in 2007, no one has complained about a ghost sign being covered up. But no one has talked to them about saving one either. “All signs in general, and all painting in general, is something that degrades over time. And so anything you put on a wall that degrades over time is going to become an eyesore, instead of something of beauty,” Carle says. And there isn't a way to stop that fading. Just ask Tod Swormstedt. He founded the American Sign Museum to preserve part of America's history. The Camp Washington museum displays a lot of neon, and plastic molded signs, but Swormstedt says it's not easy to keep a ghost sign. 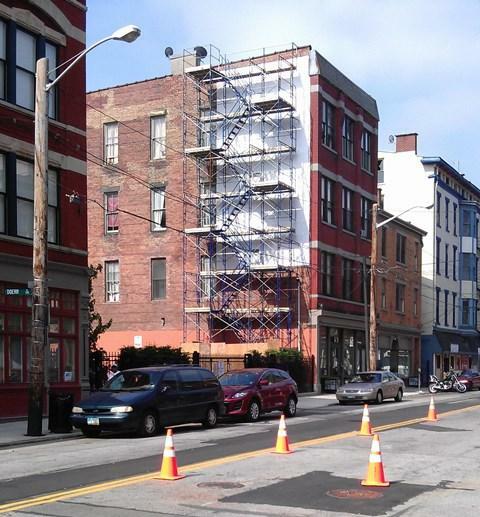 “It’s problematic to take down a building’s brick wall, brick by brick, and then reinstall it. But what we have done is we have rescued a Mail Pouch barn,” he says. 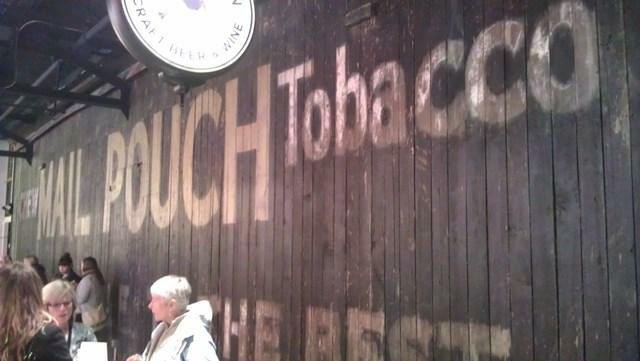 The Mail Pouch tobacco signs were painted on barns across the country, starting in the 19th Century. And so the Museum took the wooden wall apart and reassembled it inside, as an exhibit. 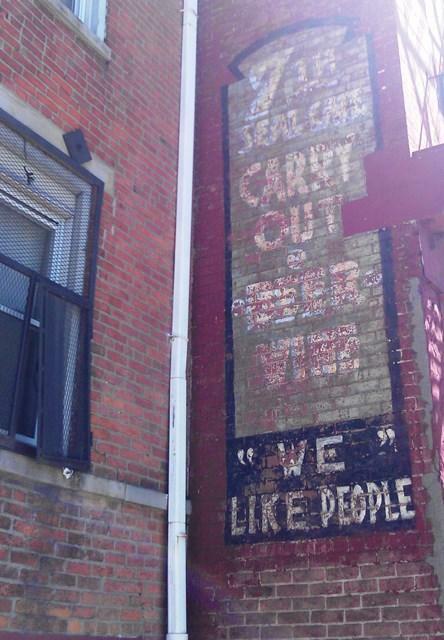 But a sign, painted on the side of a brick building isn't so easy to save. “There really isn’t a good way to restore an outdoor painted wall whether it’s on brick or stucco or whatever without repainting it,” Swormstedt says. 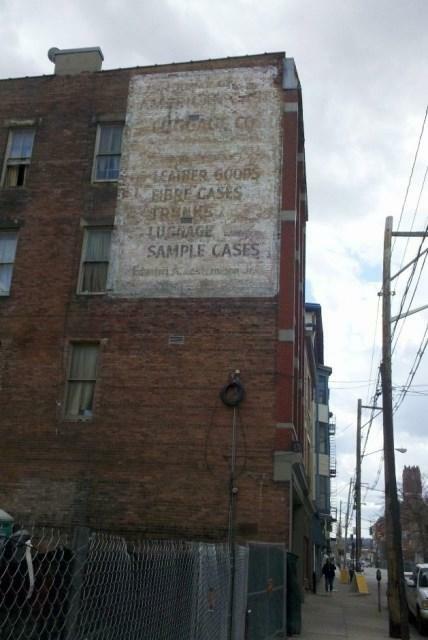 Maya Drozdz is against repainting ghost signs. She says they should be allowed to fade away naturally. So, she and the other fans of ghost signs, will have to be satisfied with what we're doing now: taking pictures, and hoping those signs that are still around are allowed to fade naturally. On January 28, the American Sign Museum is screening a film about the people who paint wall signs. 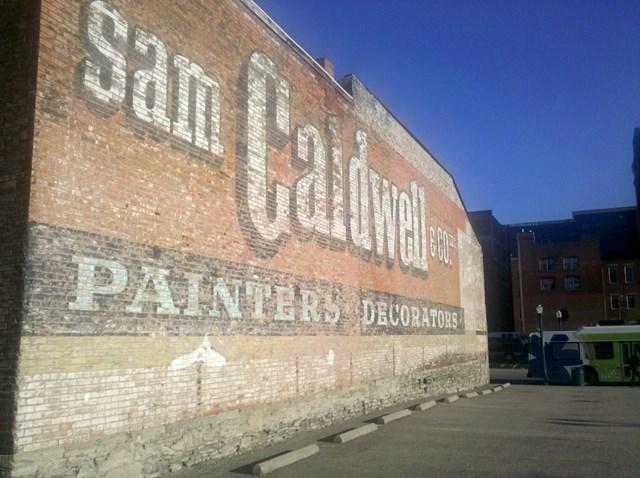 “Sign Painters” was released in 2014, and features at least one of Cincinnati’s best known ghost signs: the Sam Caldwell sign at 9th and Walnut.